What are the factors for deciding to hone in on any particular release? 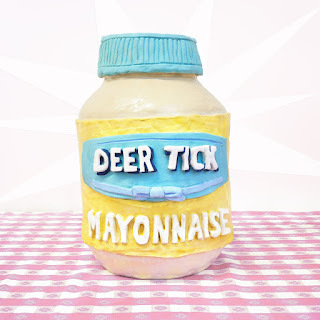 From the beginning, obtaining an advance copy of MAYONNAISE, the new release from Deer Tick, tossed a few interesting inquisitive points around. Firstly, they are a band never investigated before despite being on the known periphery for a number of years. Maybe also a quiet period for new material created a suitable window to take a step into their world and give the album a couple of spins as a taster. Throw in the status of this being an interim release mixing covers, alternate versions of old songs and a handful of newbies gave the exploration process plenty of teeth and avenues. On a side note, who can resist the striking cover sharing one of life’s delightful pleasures and the name Spencer Cullum Jr getting an insert alongside a song title. Where you stand on the mayonnaise debate may be irrelevant, but acknowledging one of Nashville’s premium pedal steel players, probably best known for his longstanding role in Miranda Lambert’s touring band, is a given. Therefore, enough inspiration began to surface to explore this album. Deer Tick ‘tick’ many boxes on the indie rock/alternative Americana spectrum, but twang is not one of them. However, the addition of Cullum’s steel to the final track ‘Cocktail’ brings it to life, enhancing the original tenfold and making it a super listen ready to spice up many playlists when the entity of this album release fades. ‘Cocktail’ is one of the four tracks on the album that have had a makeover since the last Deer Tick record. That release in 2017 split across twin discs, simply labelled Volume 1 and 2, and added to a considerable back catalogue spanning almost twenty years. The other tracks are ‘Limp Right Back’, ‘End of the World’ and ‘Doomed From the Start’. Dedicated Deer Tick fans will no doubt voice opinion on the versions, the only brief assertion offered here is marginal, but this a tasting exercise without deep rooted authority. Contributing to the interim status of this album are four covers that emerge after proving live favourites from the gigs played promoting the previous record. They come from diverse sources in George Harrison, The Pogues and the Velvet Underground, with the fourth, ‘Too Sensitive For This World’ by Ben Vaughn requiring some Google assistance. On the other hand, ‘White City’, ‘Run of the Mill’ and ‘Pale Blue Eyes’, all originally recorded by the aforementioned trio have a degree of popularity to draw conflicting comparisons with Deer Tick’s version. Without entering into serious debate, all four are good fit to what a newbie can extract from assessing the value of MAYONNAISE. To stir the mix more productively, five new songs have been included. An act that can be contentious where fans feel a touch short -changed when primarily drawn to a release based on progression rather than reflection. Putting the controversy to one side, the new tracks are a mixed bag: one superb, one experimental and three standard fare. ‘Hey! Yeah!’ is the pick of the bunch: catchy, raucous and reminiscent of the Scorchers at their post-punk best. This track did see the light of day last year, and at least, has a Bandcamp home in addition to the video. ‘Memphis Chair’ is a short instrumental piece and is a definite leftfield venture in the context of this album. ‘Bluesboy’ opens the record and is about as heavy as you get among the tracks, in contrast to the acoustic rock ballad existing within ‘Strange, Awful Feeling’ or the good old roots stomper ‘Old Lady’. 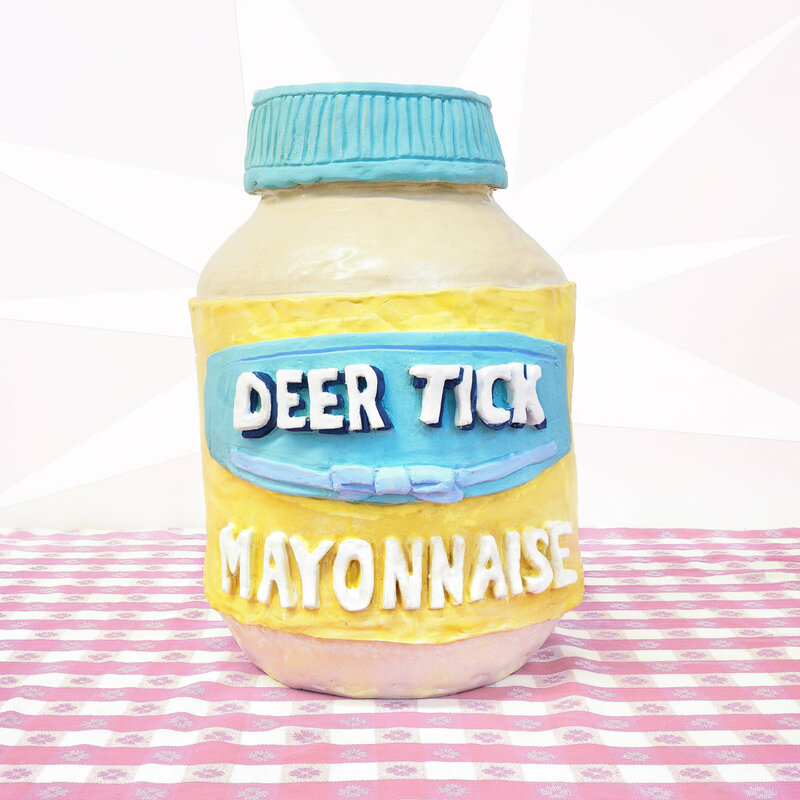 Has MAYONNAISE tempted further discovery into the work of Deer Tick? Maybe with a prevailing wind, but even in its phase as a stand-alone release it provides a fascinating listen, prompting many discussion points. So if propelling a band forward is a goal for any record, this box has been ticked and in a way to successfully court newbies.